This collection of Top Tips is a combined list nominated by those who attended the autumn and spring UKeiG workshops on “Anything but Google”. The participants came from all sectors and types of company, and included a couple of self employed researchers. The sessions covered both general search tools and specialist services, and the list is an interesting mix of strategies and specific sites. A big “Thank- you” to everyone who participated in the workshops. 1. Get to know the advanced search commands and options. Google is not the only search tool that uses them and they can help focus your search, especially when using general search tools such as Bing. 2. If you are conducting serious research don’t stop with the first reasonable looking results. Information of dubious quality can infiltrate even the most well respected of specialist websites. Put on your “skeptical goggles” as one delegate said! There are plenty of alternative tools and resources out there so get some corroboration from additional sources before acting on the information you find. 3. Allocate time for your search. If you are carrying out in-depth research don’t leave it to the last minute. You will probably need to tweak your strategy and try different search tools to ensure that you are retrieving the best information. It can sometimes take longer than you anticipate. Think about the type of search you want to conduct and the type of information you are looking for. For example if you are carrying out a systematic review and want to use Boolean operators forget about Google; head for Bing instead. And if you need official statistics or company information go straight to specialist sites that provide that data. 5. Don’t stick with what you regularly use. Experiment with other resources, especially if you suspect your default search tool is not telling you the whole story. 6. Country versions of search tools. Many search tools offer country versions that give priority to the country’s local content, although that might be in the local language. This is a useful strategy when searching for industries, companies and people that are active in a particular country. 7. Learn when to try something else. If a site’s navigation or internal search engine seems to be returning rubbish don’t struggle with it. Try another route to get to the information. Either try an alternative source of information or use the ‘site:’ command – available in Bing as well as Google – to search inside the site. This was recommended for its clean, straightforward layout and the range of resources it offers on a topic. 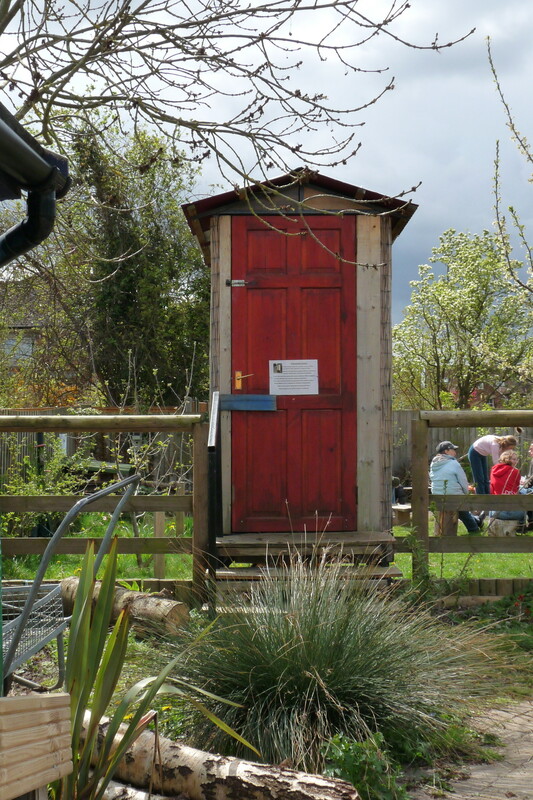 A school librarian commented that the pupils at her school loved it. If you are fed up with seeing the same results from Google again and again give MillionShort a try. MillionShort enables you to remove the most popular web sites from the results. Originally, as its name suggests, it removed the top 1 million but you can change the number that you want omitted. The page that best answers your question might not be well optimised for search engines or might cover a topic that is so “niche” that it never makes it into the top results in Google or Bing. This was recommended for its clustering of results and also the visualisations of terms and concepts via the circles and “foam tree”. There is a link to the live web demo on the left hand side of the home page. This is a direct competitor to Google Scholar. The site can be slow to load and it sometimes assigns authors to the wrong institution. Nevertheless, the visualisations such as the co-author and citation maps can be useful in identifying who else is working in a particular area of research. The visualisations can be accessed by clicking on the Citation Graph image to the left of the search results or an author profile. 12. Creative Commons and public domain images. “Search 10 million Creative commons Flickr images by colour.” You can specify more than one colour and move the the dividing bar between two colours to increase/decrease their prominence within the image. Click through to the original Flickr image to double check the license. Company Check repackages Companies House data and provides 5 years of accounts, and graphs for some financials free of charge. It also lists the directors of a company. Click on a director’s name and you can view other current and past directorships for that person. It provides more free information than Companies House but you have to register (free) to gain full access. Additional information such as credit risk, CCJs, credit reports, and many Companies House documents are priced or available as part of a subscription. For datasets and visualisations relating to stories currently in the news. As well as the graphs and interactive maps the source of the data is always given and there are links to the original datasets that are used in the articles. 17. Keep up to date. Keep up to date with what the search engines are up to, changes to key resources and new sites. Identify blogs and commentators that are relevant to your research interests and subject areas, and follow them using RSS or email alerts. My Twitter feed and other social media this morning is full of posts and updates saying that Getty Images is making all of its images freely available. It is not. Read the “Embedded Viewer” section of its Terms and Conditions at http://www.gettyimages.co.uk/Corporate/Terms.aspx for what you can and cannot do. “Embedded Getty Images Content may not be used: (a) for any commercial purpose (for example, in advertising, promotions or merchandising) or to suggest endorsement or sponsorship“. Ignore these T&Cs at your financial peril! As for the image associated with this article, it is not from Getty but one of my own. 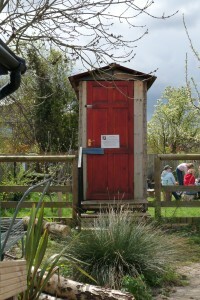 It is a decommissioned composting toilet at Barracks Lane Community Garden, Oxford. Please feel free to use as you wish. Is Bing dropping search terms? Google has been automatically dropping terms from searches that give few or no results for some time. It now looks as though Bing may be doing the same. Unfortunately I cannot give the details of the search that brought this to light as it was confidential research. In general, though, what we were searching for were announcements or news articles about two companies involved in a particular project. We hadn’t found anything in Google so we tried various alternative search engines including Bing (http://www.bing.com/). The results seemed quite promising until we started looking at the individual pages. None of them had all of our terms. It is possible that the missing terms appeared in links to the pages but the content of the documents suggested that this was unlikely, and there is no reliable free tool that shows you who is linking to a specific page. So it looks as though Bing is now dropping terms in the same way that Google does. There are two ways to stop Bing doing this. The first is to use the Boolean AND operator between all of your terms. The second is to prefix the term that must be present in a document with ‘inbody:’, for example inbody:aardvark. Did we find anything that answered our question? No, but sometimes I don’t expect to and it is frustrating when the search engine thinks it knows best and unilaterally decides to rewrite the search strategy. This is a feature which I have been seeing on and off for a few months so I’m not sure if it is one of their experiments or if it is being rolled out gradually. It’s very simple: advertisements that appear at the top of your results lists and in the panel to the right are marked with a little yellow box with ‘Ad’ written inside. Over the years it has become harder to identify ads at the top of results as the pale pastel backgrounds to them became more subtle. It has been suggested that the more obvious marker is a consequence of discussions between Google and various regulatory authorities.